A look inside New York’s icon of luxury: “Reading [The Hotel] is at least as enjoyable—and certainly less expensive—than staying at the Plaza” (Publishers Weekly). When it opened its doors in 1907, the Plaza was considered the world’s finest luxury hotel. Since then, the grand building at the southern tip of Central Park has hosted kings and queens, the rich and famous, and countless world leaders. And like any hotel, it has seen its share of crimes, suicides, and drunken mayhem as well. 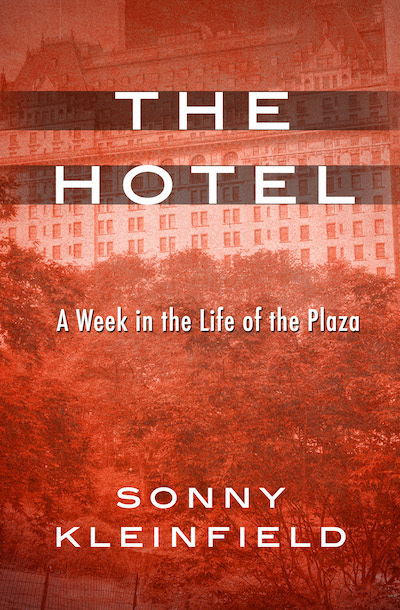 A fascinating read for fans of Stephen Birmingham’s Life at the Dakota or Justin Kaplan’s When the Astors Owned New York, this book combines Manhattan history with a guided behind-the-scenes tour, interviewing the hospitality industry employees who tote the luggage, change the light bulbs, and clean the rooms. From a Pulitzer Prize–winning journalist who has written for the New York Times and Rolling Stone, The Hotel offers the kind of day-to-day detail that brings the Fifth Avenue French Renaissance landmark to vivid, colorful life.